Mobile health apps are increasingly popular these days. It’s not just the fitness enthusiasts who plan their diet and workout; the average man is using these health apps to track his calorie count and even the number of steps clocked each day. Here are five easy-to-use apps that we’ve tried and liked. Best of all, they are absolutely free! What I like about the app: Fitbit takes sleep seriously. Sleep lowers the risk of health diseases. Besides that, researchers from the University of Chicago found that 56% of people who diet loss more fat than those who don’t. People who sleep less are found to be hungrier as well. Fitbit wants a weekly sleep goal, has bedtime reminders and has waking up targets. You may forget to hydrate yourself thoroughly after a workout. Fitbit tracks your water intake throughout the day. 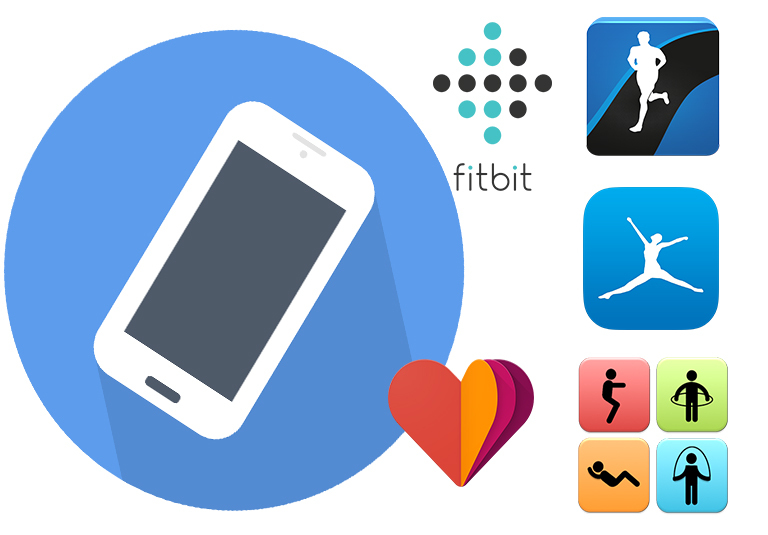 You don’t need a fitbit watch to use this app. Also, you can analyse your health statistics on your computer. What I like about the app: All-in-one app. Besides the usual pedometer (to count the number of steps taken), SenseMe tracks your sleep, calorie count, most fitness activities, like swimming and yoga, route taken etc. Basically, all basic health-related needs are covered here. Interestingly, you can track your heart rate just by placing your fingertip on the camera lens. I wonder how this technology works..
What I like about the app: It’s by Google. Smart and simple. You can capture all your fitness data from other fitness apps, such as Runkeeper and Runtastic, here. Fret not, you may delete your data by clicking the Menu >Settings button if you are troubled that Google has all your data. Find your handphone too heavy when jogging? Google Fit is preloaded on Android Wear watches. What I like about the app: If you can’t run physically with your buddy, you can do it virtually here. Connect with your friends and other fitness enthusiasts from the Runtastic family, challenge one another and get to the leaderboard. If you feel lethargic and are procrastinating to keep to your fitness schedule, immerse yourself with Story Running. Find yourself in wonderland (yes, there’s music playing in the background to create such atmosphere) or motivation-land where you hear a cheerleader repeating, “keep going”. Sadly, to enjoy Training Plans engineered by fitness professionals, a small sum is required. These training plans range from losing weight to preparing for a marathon. Not sure how useful they are yet though. What I like about the app: Food tracking. MyFitnessPal has a gargantuan food database – over six million cuisines in its database. You can also scan barcodes to log food, log in restaurants’ menu, create your own recipes and most importantly, learn to make healthier food choices. If you’re still doubting the usefulness of this app, or asking why this app over others, here are some statistics: A whooping 50 million Android users have downloaded this app (which is around 8.5 times Singapore’s population); some one million users have given a 5/5 rating.